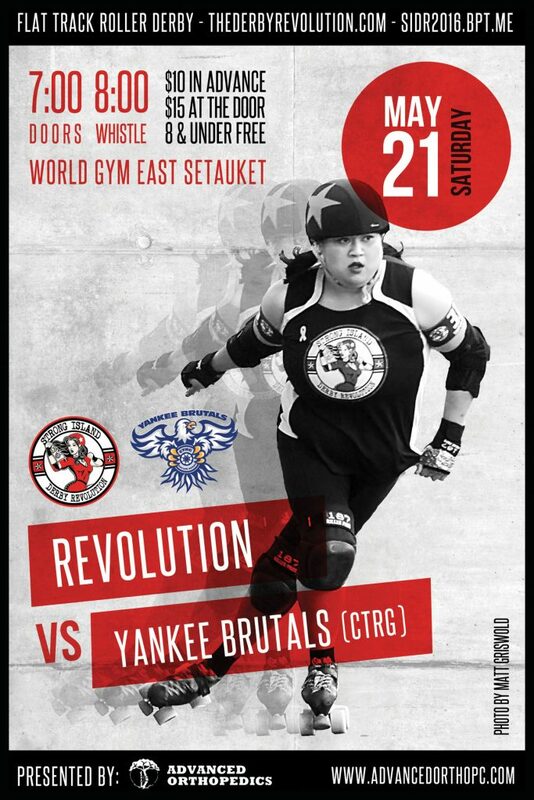 The Revolution are back in Red and Black to take on the Yankee Brutals from Connecticut in the first of a two bout show down. See the first bout right here on our home turf at World Gym in East Setauket on May 21, 2016. Gather up your folding chairs and cowbells to follow us to Trumbull, CT for the second jamming against the Yankee Brutals, June 25, 2016 and see this years most epic east coast rivalry.